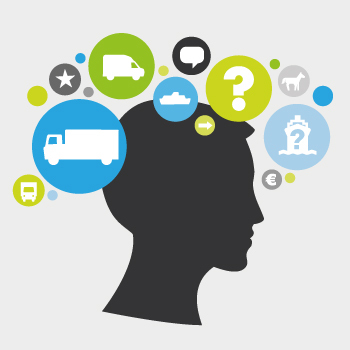 Freightlink provide a superb service. In the motorsport industry some things don't always go to plan and Freightlink are always happy to help solve any issues. Fair pricing and quality customer service make dealing with Freightlink both easy and cost effective. Having at least half a dozen race meetings in Europe during the course of a season, it is a big help to have Freightlink on hand to find us the perfect ferry that gets us to our destination in time. A professional company who have their customers at heart. Excellent service. 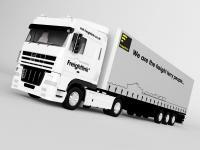 We have been using Freightlink since 2012 with all our freight requirements. With their expert advice and professional service I would highly recommended them. Highly competitive price wise and the customer service is in my opinion first class. I can't recommend Freightlink highly enough! I cant fault Freightlink. The friendly helpful staff, they've always been there day or night to book a crossing by boat or train, or even if it's just to get a quote you'll get a no quibble no hassle staff member to help you. I am a very small private racing team 'manager' and I am always so pleased that your booking team make everything so simple and how helpful they have been 7 days a week when we have needed to change our plans. I always tell people how positive our experience has been. After 4 years of battling with transport providers directly, in 2016 we opted to work with Freightlink to organise our logistics for transporting 180 bikes to and from France during the 3 weeks of the Tour de Force. Freightlink took the pain and stress out of the job by handling everything quickly and efficiently, with minimal fuss. The logistics of running the Tour de Force are akin to going to war! It’s complicated and difficult – but made so much easier by working with reliable partners like Freightlink. We haven’t hesitated to use them again for the epic 2017 Tour de Force. Our customers are very demanding and expect that we give them high service levels at competitive prices – and we expect the same from our suppliers. I can definitely put Freightlink in this category. Their friendly, helpful customer service team are always available to give me advice, and they find me solutions to issues with ferry crossings across Europe which in turn allows our company to provide the highest levels of service to our customers. Since moving to Freightlink from our previous supplier, the improvement in service we have experienced has been a revelation. As a volume user of cross channel routes, the Freightlink online booking system allows our company to make bookings at any time of the day or night. This way of working saves me time and money and is really useful if I forget to make a booking for a driver! I find the staff at Freightlink easy to deal with and if I ever need to speak with someone from the company they are always there to answer my calls. Freightlink have always gone out of their way to assist my company whenever it has been needed, which I really appreciate. Any amendments to departure times or vehicle registrations are dealt with quickly and efficiently and nothing ever seems to be too much trouble, and I always get a call back to reassure me that my amendments have been made! The information on sailings that Freightlink provide helps me plan our vehicle movements to ensure our service levels stay consistent, and Freightlink also help me to swap ferry companies at short notice if my needs dictate this: this is something I could not do if I organised all my ferry crossings directly with just one ferry company supplier. The Freightlink staff are professional, polite and always cheerful and I feel that I am in safe hands when I ask them to look after my ferry crossing requirements. I would have no hesitation in recommending Freightlink. Freightlink are one of my most trusted suppliers, I know that when I give them my ferry bookings they are sorted with no dramas! When things do go wrong (as in all businesses) they really try hard to rectify issues as quickly as possible. A good example of this was when I was travelling to France on Eurotunnel one Saturday evening and there was an issue in Folkestone that resulted in me not being loaded onto the train – I was subsequently late for my delivery. When I raised this with Freightlink by email on Sunday evening they immediately investigated the issue, offered to write to my customer to explain that I was not at fault and I even got a call from the Sales Director of Eurotunnel on the Monday morning apologising for the mistake that they had made! This level of service is typical of Freightlink which is why I would have no hesitation in recommending Freightlink to other courier companies. How far in advance can I book a ferry?